With more than 295bhp and featuring MINI TwinPower Turbo Technology, the new MINI John Cooper Works GP is set to become the fastest and most powerful MINI ever to be approved for use on the road and will be produced in a limited number of just 3,000 units for worldwide sale. The MINI John Cooper Works GP is currently under the production development phase and will have a limited production run of just 3,000 units The MINI John Cooper Works GP Concept was presented for the first time in September 2017 at Frankfurt Motor Show. With large front and rear aprons, a striking roof spoiler and the extensive use of lightweight materials, the design study picked up where the previous two John Cooper Works GP production models left off. Serial production development of the new MINI John Cooper Works GP is now entering its crucial phase - namely on the race track, where whole-vehicle testing is set to be carried out in the coming months. 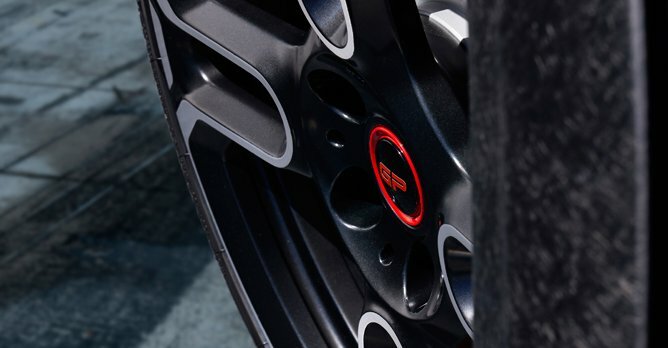 Drawing on tradition-steeped John Cooper Works expertise, the suspension developed specifically for this model will be precisely adapted to the exceptionally high output of the new engine. Rigorously defined aerodynamic properties and optimised weight will be combined with the brand's finest drive and suspension technology to ensure thrilling performance characteristics. The new MINI John Cooper Works GP is based on the principle of tapping into the sporting genes of the MINI brand's DNA to create a superior racing machine. The Nurburgring Nordschleife lap time achieved by the predecessor model was eight minutes and 23 seconds - faster than many a sports car from higher segments. The 2012 model was produced in a limited quantity of 2,000 vehicles, as was the MINI Cooper S with John Cooper Works GP Kit which was released in 2006. Both have since become much-coveted collector's items.